iframe cross-domain communication, you can add parameters and coding url get through the back under a different domain information returned, about the method of application we can search the Internet under the relevant knowledge. And this article I will introduce the HTML5 postMessage cross-domain communication, with examples, the following are the main fields in helloweba.com page, we can send a message to the iframe on that page under a different name demo.helloweba.net page, note that the domain name is completely different, and in being embedded iframe page demo.helloweba.net domain can receive helloweba.com message sent. window.postMessage is a safe method of direct cross-domain communication by most modern browsers support. Iframe window in the received information, you need to set up an event handler to receive addEventListener message sent. For security reasons, use window.postMessage, will need to use the message origin and source properties to verify the sender's identity, otherwise it will cause XSS vulnerabilities. 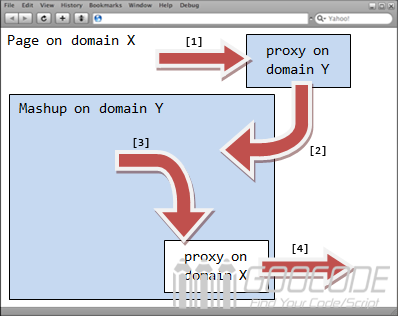 window.postMessage cross-domain function is very powerful, and easy to use, high efficiency. Class post here from the writer. Got some good information from this for my essaysontime project. Would love to get more informative posts like this. Quality information shared on this site with us again. As someone who just put up his VR Headsets For Sale, I really enjoyed reading this post here.